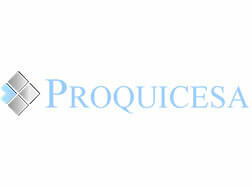 PROQUICESA has two production plants, both located in Fuenlabrada, at 17 Km of distance of the business center of Madrid by the highway A-42, and around 20´ far from the international airport of Madrid-Barajas, in one of the largest industrial areas of Spain and of the EU. These plants gather outstanding logistic conditions for the terrestrial transportation of goods to wherever place in Europe. So, its privileged location makes possible a fast and easy connection with the main highways and railway lines of Spain, favoring a top efficient supply of our additives, as well as the reception of all kind of raw materials. Nowadays these two plants have a combined production capacity of 35000 metric tonnes per year (enlargeable), housing a permanent stock of 1000 tonnes of final products (cement additives), in addition to a large stock of the different raw materials employed in our production processes. In one of these plants are sited our laboratories of physical trials and chemical tests, both of them are modern facilities fully equipped for the implementation of our tasks of quality control and R&D. Integrated in the mentioned laboratory of physical trials is our Cement Pilot Plant, designed for the manufacturing of all kind of cements starting from the original materials of the customers (cement plants); clinker, gypsum, reactive additions, and fillers. The activity of these two production centers are coordinated from our Headquarter, near Madrid, where is carried the global management of the company. PROQUICESA´s ADITOR® M additives increase production of the mills, between a 10% and a 20%, based on the type of cement and the characteristics of the raw materials, as well as on the dosage, and on the characteristics of plant´s equipment. Provide a remarkable increase of the cement fluidity, notably reducing the tendency to agglomeration of the particles of this material, and the adherences to balls (coating), internals of the mill, silos, etc. It will favor the later tasks of pumping, pneumatic transportation, silos loading and unloading, etc., making it more easy and profitable. Optimize the granulometry of the cement (particles size distribution), which is translated in slight increases of its compressive strengths. They improve the reological characteristics of the mortars and concretes elaborated with those cements, allowing lower water-cement ratios. And increase the compactness of these mortars and concretes, reducing its permeability to the water, improving its performance against ice (freeze-thaw cycles), and enlarging its durability. In the context of our product line of cement strengths enhancers, in the last years there have acquired special relevance those ones which perform with special intensity on cement early strengths (PROQUICESA’s ADITOR® R). 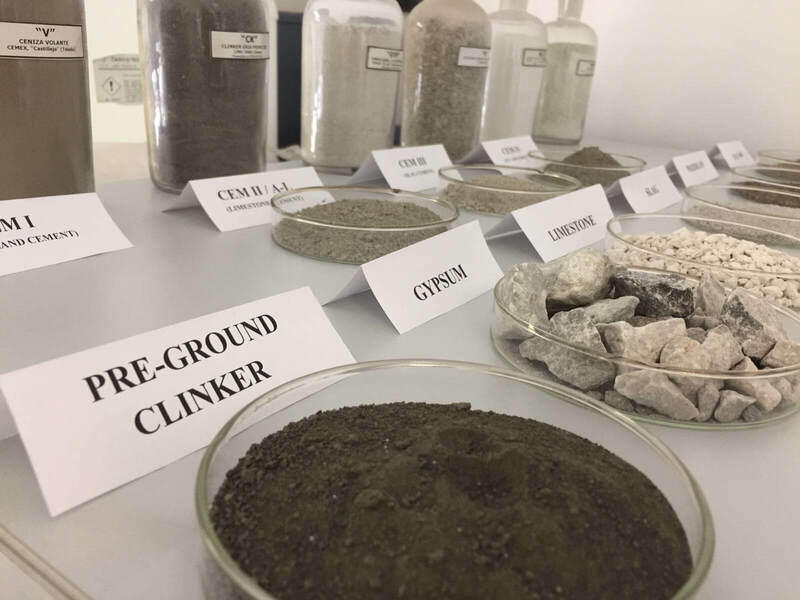 These additives provide increases of up to 6 MPa (at 2 days), based on its dosage, type of cement and raw materials employed (CK, GYP, additions), and plant´s characteristics and equipment. Moreover, these additives remarkably improve the grinding process performance, by increasing mills output and providing important energy costs savings, and increase the fluidity of the cement, making more easy and profitable the operations of pumping, pneumatic transportation, silos loading and unloading, etc. Finally, the use of these additives will improve as well the reological characteristics of the mortars and concretes elaborated with those cements, allowing lower water-cement ratios, increasing its compactness, reducing its permeability to the water, and extending its life. Modifiers setting times: able to accelerate or retard the setting of cement. Hexavalent chromium reducer: reduce the content of Cr (VI) in cement by reduction to Cr (III). Air-entrainers for mortar cement: promoting air entrainment in cement in the form of microscopic bubbles. The Cr(VI) existing in the cement is a sensitizing agent which can originate skin diseases, like contact dermatitis, in people who handle cement pastes, mortars and concretes, causing different levels of injury. In order to avoid this phenomenon, Directive 2003 / 53 / CE has imposed to European cement manufacturers the limit of Cr(VI) content in their cements of 2 ppm, as maximum. Since the presence of the species Cr(VI) in the cement essentially derives from the oxidation of the element chromium existing in certain materials used for its manufacture, the solution to the problem happens to add to cement an external chemical agent able to reduce the Cr(VI) – soluble- to Cr(III) – insoluble -, which is not absorbed by the skin. After years of R&D in this field, PROQUICESA have formulated an additive reducer of Cr(VI) in cements, whose characteristics and benefits turn to it in one of the most advantageous and profitable options of the market nowadays. ADITOR® Cr-10 is a low viscosity liquid product, fully suitable to be supplied in bulk, that can be dosed in the entrance of the mill by employing a simple pumping system, not needing special equipment for its unloading, transfer, and storage. It is a stable dissolution which allows large periods of storage without lose of properties. It does not settle, for what the 100% of the product can be used, and not generate residues. 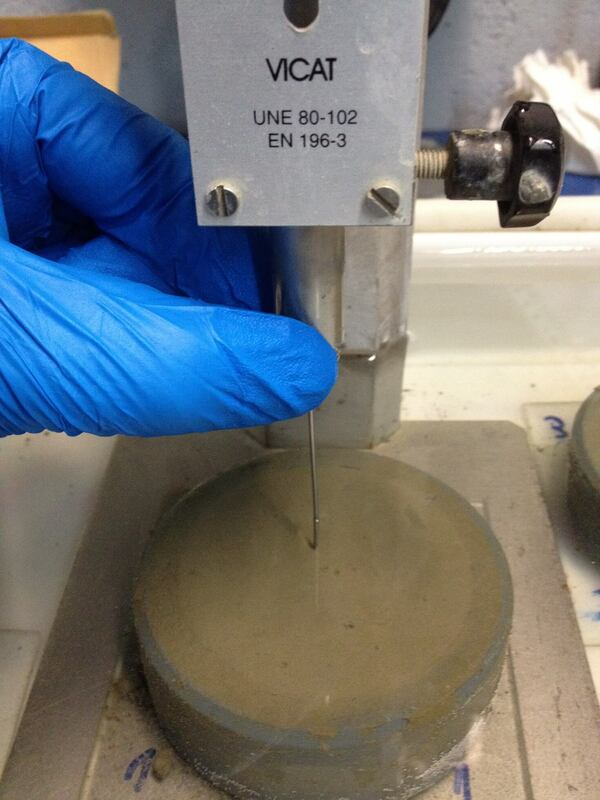 And it has a wide expiry, in terms of duration of its reducer effect in the cement (~ 4 months). Its handling is fully safe, hygienic and careful with the environment, since it is not a corrosive and/or abrasive product (classified Xi-Irritant), and it is possible to be dosed on the feeding belt of the mill, without damaging the faying surfaces. ADITOR® Cr-10 is effective on all type of cements, under low dosages: between 150 and 180 ppm of additive per each ppm of Cr(VI) to be reduced, depending on the characteristics of the cement. 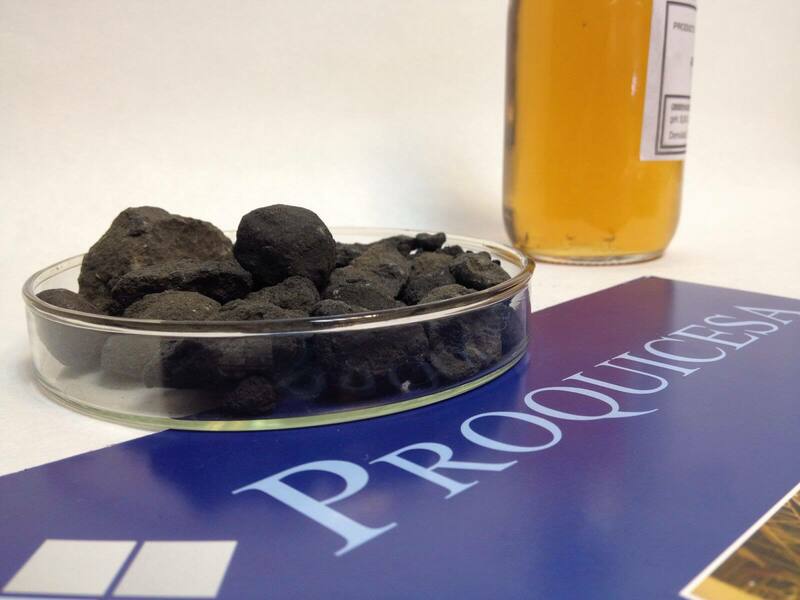 n response to the new requirements demanded by the cement industry, PROQUICESA has developed a line of additives that promotes the inclusion of air in the cement mortar in the form of microbubbles homogenously distributed. These additives, included in the range of PROQUICESA’s ADITOR® AES additives, increase workability and durability cement based on a greater resistance to freeze-thaw cycles and a greater fluency of the mortar. Additives comprising this range allow the occlusion of a quantity of air in the mortar which can range between 4-12% depending on customer needs and raw materials characteristics. 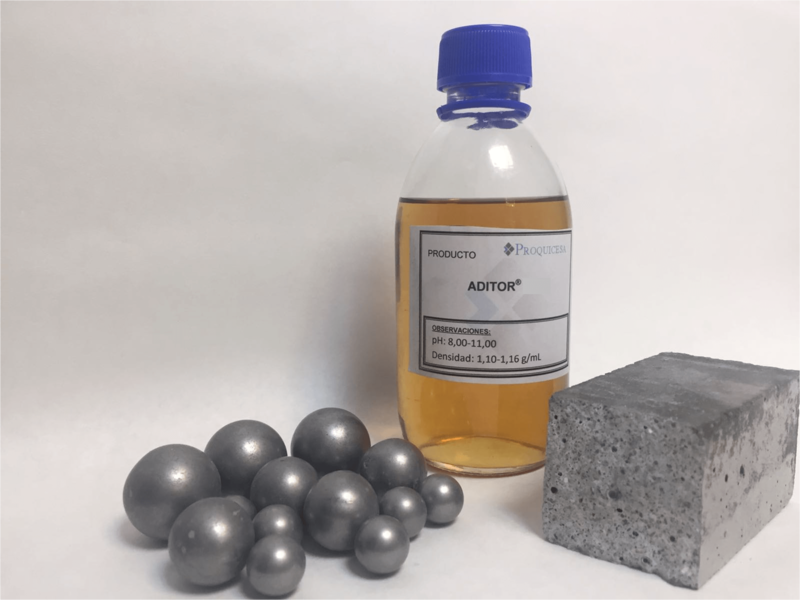 These features make these ADITOR® AES additives especially useful for paving materials or other situation where they will be exposed to changing climatic conditions, specially cold weather, and in situations that more fluid mixtures are preferred. As result of our full specialization in the field of additives for the cement industry and of our permanent contact with the cement manufacturers, PROQUICESA has other series of additives that make up this line of specialty products, focused on changing cement setting times, called ADITOR® J.
Grinding aids modifiers of the setting times, also marked by the highest quality standards of quality like the rest of our products, have arisen as result of research projects started at the request of certain customers to meet targets of various kinds: provide specific qualities their cements, save certain technical conditions, etc. Ready to buy or want to speak to us in more detail?